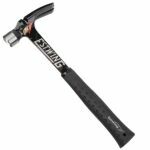 Estwing's Ultra Series Solid Steel Hammers are engineered lighter and stronger. The sleek new profile make them lighter and areodynamic. Estwing hammers are forged in one piece out of fine tool steel for long life and dependability. No welds. No joints that can fail. 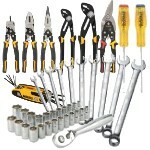 Plus, these hammers feature Estwing's world famous and patented Shock Reduction Grip. 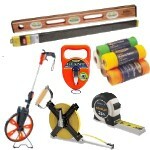 The most durable and reliable grip put on any striking tool. Since 1923, the Estwing family and its employees have taken pride in designing and manufacturing the world's most durable, comfortable and attractive striking and struck tools. All claw hammers, axes, specialty tools and pry bars are manufactured to the highest possible standards and offer a true value to both tradesmen and craftsmen alike.